Casino Euro – Weekend Promotions! Abundance of great offers and competitions! 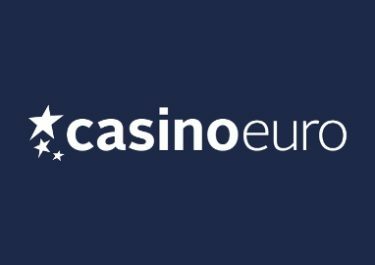 Casino Euro never falls short when it comes to awesome promotions and this weekend we have four running simultaneously. Talk of huge choice, right! Claim the Daily Boost today, take part in the two current competitions and prize draws and look forward to your Weekend Surprise if you deposited this week. Not to be missed! Not yet getting surprised at Casino Euro? Then sign-up now and enjoy their very generous 100% Welcome Bonus up to €150! Celebrate the launch of Divine Fortune, the new progressive slot from Netent with two batches of Free Spins on deposit. Make a first deposit of minimum €10 and get 15 Free Spins. 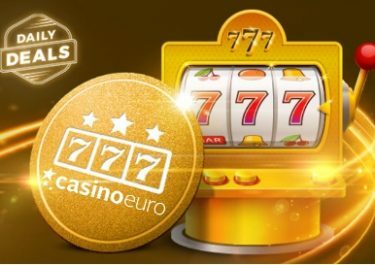 Then make a second deposit of minimum €15 and receive an additional 25 Free Spins. Offer expires at 23:59 CET on 27th January 2017. All winnings are credited as bonus with a 15x wagering requirement within three days. 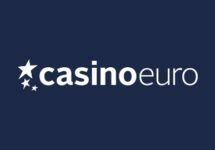 Casino Euro Bonus Terms and Conditions apply. Do not forget to earn your tickets to this huge prize draw. Entries are earned by unlocking in-game levels on Cleopatra Plus, Wheel of Fortune on Tour and Nordic Heroes from IGT, which all have the ‘Level Up Plus’ feature with up to 8 in-game levels. No minimum bet is required but only cash play qualifies. On 30th January 2017 IGT will randomly draw 1,445 winning tickets each getting a share of the prize pool. A player can win more than one prize as the draw is based per ticket, not per player. All prizes are cash, no wagering requirement and will be credited no later than 3rd February 2017. Players who have deposited a minimum €10 from Monday to Thursday will find a mystery reward in their account after 10:00 CET on Saturday. This can be in the form of Free Spins, Super Spins or a Casino Bonus, no further deposit needed. No Opt-in is required to join the promotion. All players will automatically receive the surprise gift upon their first login during the promotion period. Free and Super Spin winnings need to be wagered 15x and Casino Bonuses 40x, all within 5 days. Unclaimed rewards will be forfeited after midnight on Sunday. Casino Euro Bonus Terms and Conditions apply. Take part in the St. Patrick’s Prize Draw with qualification running from 25th to 29th January 2017. Every 50 real-money spins played on selected games are equivalent to one prize draw ticket, with up to 50 tickets per day. On 30th January 2017 a total of 100 lucky winners for the exclusive trip, Cash Prizes and Free Spins will be randomly drawn from all entries. 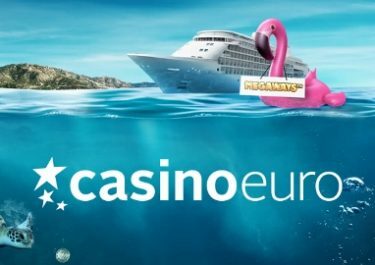 Extra prizes – For even more Irish charm, Casino Euro is guaranteeing 25 / 50 Free Spins on the above slots just for collecting 5 / 10 tickets, even if you don’t make the leader board. This is a promotion in association with game provider Quickspin. Only one prize per player. The winner of the VIP weekend must confirm availability within 72 hours after contact. All other prizes will be credited within 48 hours, Free Spin winnings have a 35x wagering requirement. Terms and conditions apply.